Detroit, Michigan, Jan, 16 2018 - (JCN Newswire) - The all-new Honda Insight Prototype will make its world debut on Jan. 15 at the North American International Auto Show, giving consumers a first glimpse of the latest model in Honda's growing lineup of electrified vehicles. Launching nationwide later this year, and positioned as a premium compact above Civic in the Honda passenger car lineup, Insight elevates itself above other compact hybrid models with its sleek sedan design, roomy five-passenger cabin, and refined driving performance, along with high fuel efficiency. 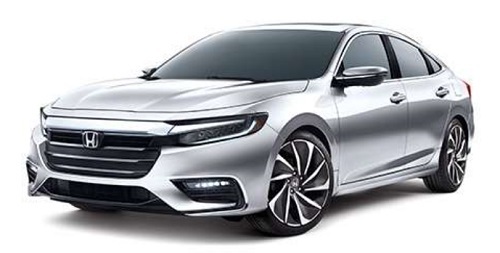 With its long wheelbase platform, the 2019 Honda Insight will offer class-leading passenger space and a host of premium features including available perforated leather seating, an 8-inch Display Audio capacitive touchscreen and a 7-inch digital LCD driver's meter. More intuitive, smartphone-like features and functionality including customizable app tiles and home-screen shortcuts, along with available Apple CarPlay and Android Auto integration and Wi-Fi-enabled over-the-air system updates, further enhance Insight over its compact hybrid competitors. The 2019 Honda Insight will include Honda LaneWatch on EX and above and Honda Sensing suite of advanced safety and driver-assistive technologies as standard equipment, including Collision Mitigation Braking System (CMBS), Lane Departure Warning, Road Departure Mitigation, Adaptive Cruise Control with Low-Speed Follow and new Traffic Sign Recognition. Introduced in 1999, the original Honda Insight was America's first hybrid vehicle, receiving a 70-mpg EPA fuel economy rating, utilizing a lightweight aerodynamic all-aluminum body and Honda's Integrated Motor Assist (IMA) hybrid powertrain. The second-generation Insight debuted in 2009 as the most affordable hybrid on the market, offering more mainstream utility with its five-door, five-passenger hatchback design and a more advanced IMA hybrid system.The all-new 2019 Insight takes an entirely new approach, utilizing the third-generation of Honda's two-motor "strong" hybrid technology and offering the styling, packaging, premium features and performance desired by mainstream car buyers.